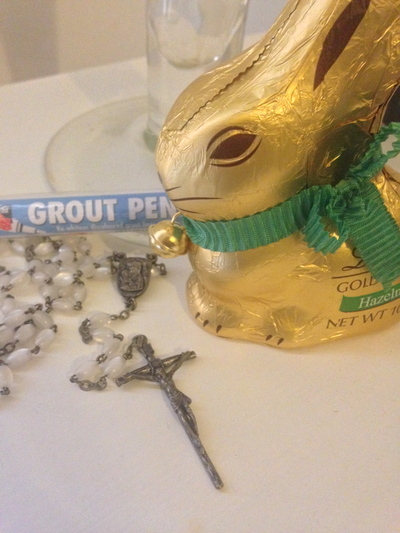 Spot three different ways Australian's celebrate Easter in this picture. Amen. Many Australian's are Christian, and therefore celebrate the resurrection of Jesus on Easter Sunday. Therefore, the priority of Christians on Good Friday is to attend the Stations of the Cross at their local Church before tucking into those delicious Hot Cross Buns, and/or attending the Easter show. For them, Easter Saturday is like any normal Saturday. Come Easter Sunday, Christians in Australia believe that their saviour rose from the dead after being buried in a tomb from his crucifixion. 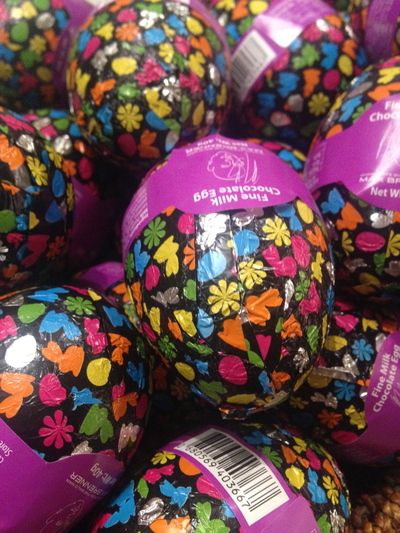 The happiness food, and chocolate manufacturers and sellers in Australia bring out Easter eggs for us to enjoy every year to celebrate this time of year. 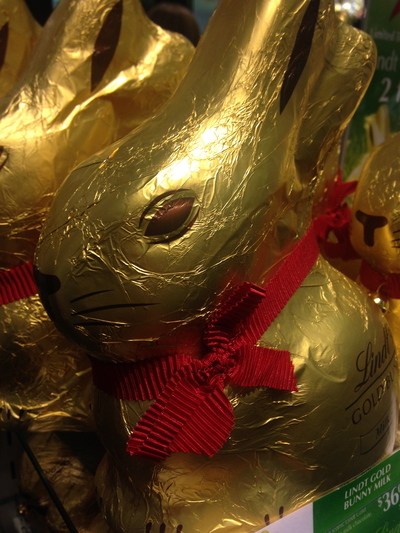 For some Australian people, this time of year is all about healing, rest, and/or quality time with family with some chocolate involved; while for others the chocolate eggs are a celebration of the resurrection of Christ, as per the point above. Who doesn't love the Easter bunny in Australia? The easter bunny is delicious. 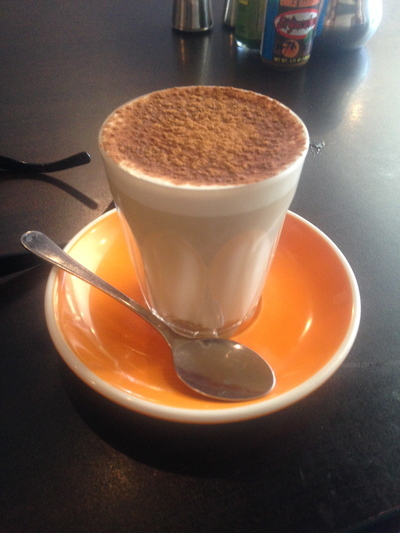 Chocolate brings people together in Australia at this time of year. 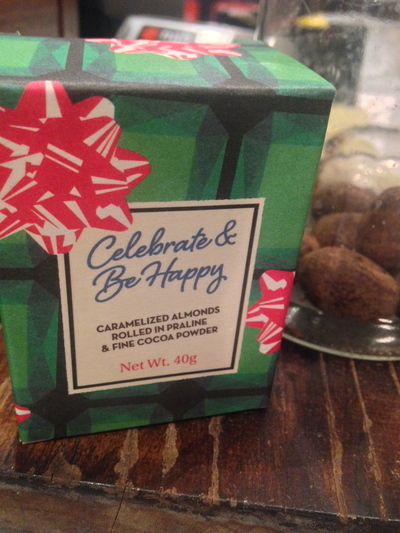 For some, the chocolate is quite symbolic and/or indulgent. Sure, chocolate at Easter is commercialised, yet on the other hand who doesn't love chocolate? Absolutely. Many capital cities in Australia put on an annual Easter show, with the exception of Melbourne who is host to the Royal Melbourne Show equivalent in September each year. The Royal Agricultural Society are putting Sydney's Olympic Park to good use with the annual Sydney Royal Easter Show being held at the new show grounds there. For others, Easter is all about quality time with others while spending big on food, rides and show bags to name. It is tradition in Australia to either go to your city's Easter show every year without fail, or to only go once every few years. For some families, the Easter show can represent a fairly expensive day out. Other Easter shows too. 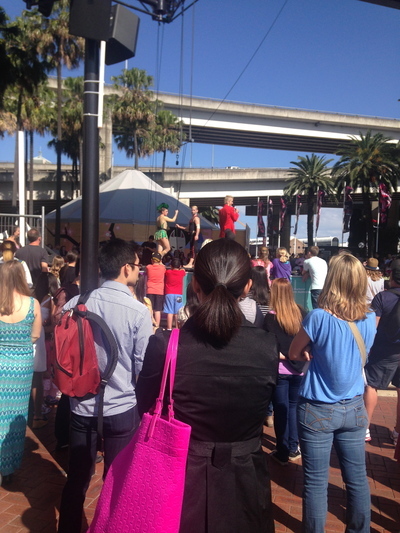 A busy Easter Saturday afternoon at Sydney's Darling Harbour. In Australia, Easter and family holidays (in particular) go hand in hand - especially with the school holidays on at around the same time. Many Australians take advantage of the four-day long weekend, and get out of town for a bit. Bring out the Land Rover or the camper van indeed. Ah yes, those home renovation and improvement projects you've been putting off...until now that is. Easter is a perfect time to get stuck into them and make some progress. Whether you need to paint your house, and/or remove some grout from your bathroom tiles - many Australian's choose Easter as the catch up periods for such activities, and thus forgo going away to spend some extra time at home instead. Ditto for also de-cluttering your wardrobe in preparation for the colder weather ahead.